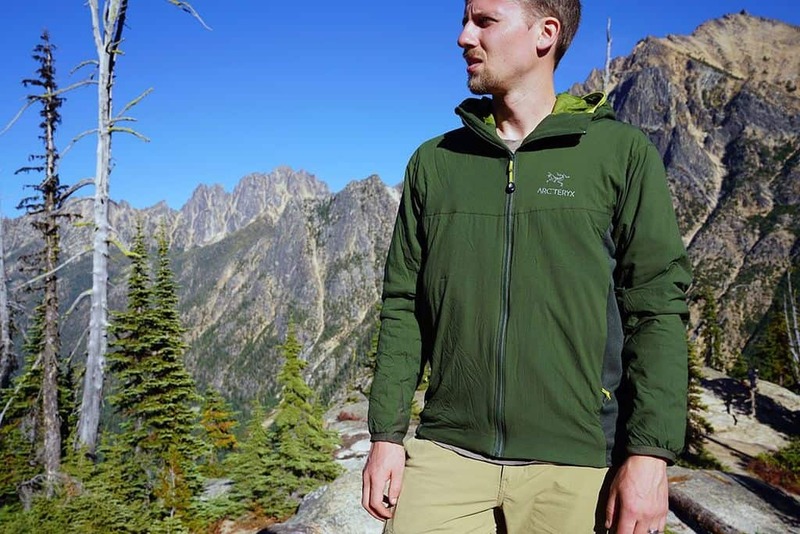 » Arc’teryx Atom LT Hoody Review (2019 Version): Should You Buy It? 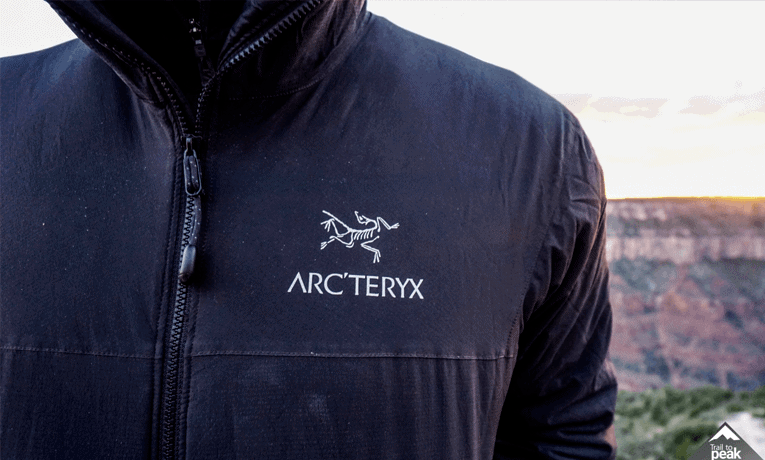 Arc’teryx Atom LT Hoody Review (2019 Version): Should You Buy It? Everybody needs a comfortable mid-layer jacket. 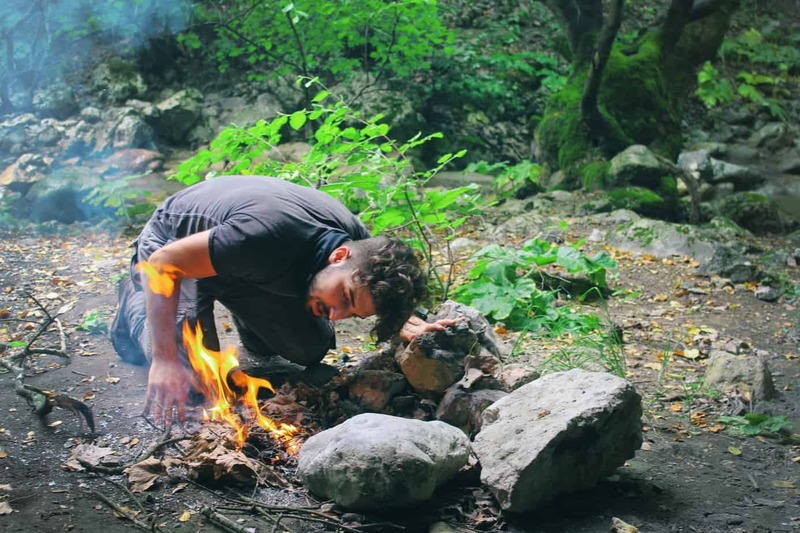 It doesn’t matter whether you’re camping, hiking, mountaineering, climbing, cross-country skiing, or doing something else, and it doesn’t matter whether it’s fall, a cold winter, or spring. The mid-layer jacket is there to keep you warm and wind-protected when you need it, while not taking up space or adding much weight to your pack when you don’t. The Arc’teryx Atom LT is a great jacket that excels at all of those things. In fact, I’m not going to beat around the bush here: I think the Atom LT (the adjustable hood version) is the best mid layer jacket on the market, and I think you should buy it. Here’s why. The Verdict: Is the Atom LT Worth the Money? The Atom LT is a synthetic jacket, and usually choosing synthetic means sacrificing weight and packability in favor of the security a synthetic insulated jacket provides (since synthetic materials will keep you warm and comfortable even if they’re wet, whereas wet down is useless). But that’s not a trade-off you need to worry about with the Atom LT. At 12.2 ounces, the Atom is lighter than many comparable down mid-layers, not to mention most of the competing synthetic fabric options. Yes, there are a few jackets that go lower – Mountain Hardwear’s Ghost Whisperer hooded down jacket is just over 8 ounces, for example – but is it really worth sacrificing the insulation power when the jacket is wet just to save less than four ounces? Not unless you live in an area with really dry temperatures where you’re sure the jacket you wear never going to get wet or need any water resistant treatment while hiking outer. Moreover, the Atom LT is, unlike some other synthetic fabric jackets, eminently packable which makes it a great jacket. It can squish down into its own pocket if you like packing jackets that way, but personally, I feel comfortable just craming it into my pack wherever there’s room. I haven’t yet encountered a space small enough that the Atom LT wouldn’t fit. The Atom LT is insulated with 60 g/m2 of Arc’teryx’s own “Coreloft” synthetic fabric fibers, and it’s enough that this jacket will keep you relatively warm. Make no mistake – this is a mid-layer, not a belay jacket. No 12-ounce jacket is going to keep you warm in freezing conditions when you’re hiking or standing around without at least another wind break layer on top of and insulation layer below it. But the Atom LT works remarkably well in any layering system. And because it’s lightweight and air permeable but breathable, it cab be worn in a variety of conditions. Personally, I toss it in my pack even in summer if I’m going to be hiking somewhere above treeline – if it’s windy enough up there that I get cold when I’m standing still (again, some air permeable qualities), I can always pop it on and warm right up. In the shoulder seasons it serves a similar purpose, staying in my pack when I’m moving but coming out to give me a little extra warmth on the cooler/windier days when I’m standing still. In winter, it’s my go-to mid-layer, and it usually stays in my pack during the approach hikes unless it’s a particularly cold day, but as I get higher and the air gets windier and colder, at some point I’ll put it on and often not take it off again until the day is over. I can keep the Atom LT on while I’m working in winter because unlike lots of jackets out there, the Atom LT is incredibly flexible and breathable. This is true mostly because of the stretch panels running down the sides under the arms of the jacket, where the insulation gives way to Polartec Power Stretch, a stretchy fabric that’s a bit like fleece: less insulating but immensely breathable and stretchable. You’ll lose more heat through these panels than you do through the regular insulation in the rest of the jacket, but that’s kind of the point. Their stretchiness makes the jacket great for high-mobility activities like climbing, and the permeability allows the jacket to bleed off some of the extra heat and moisture you generate when moving so that you’re not overheating. Those panels do have one downside – even with the DWR treatment, they’re not particularly waterproof, so if it starts raining, they’re going to get wet. Since it’s synthetic, the Atom LT will still perform much better than down when it’s wet, but that doesn’t mean you want to wear it when it’s wet if you can avoid it. You’ll want to be sure you have a shell to throw on top of it if the weather turns. One of the hallmarks of the Arc’teryx brand has always been a certain eye for style, and the Atom LT is one of their best-looking pieces in my opinion. Its slim cut makes it flattering enough that it’d be great even just for wearing around town, and the subdued matte finish means that it’s a bit less “loud” looking than many other high-end mid-layer jackets. It is certainly, for example, more attractive than the best down mid-layer on the market: the bumpy, shiny Mountain Hardwear Ghost Whisperer. Style aside, it also just feels great to wear. It’s so lightweight that putting it on feels like donning a little slice of a cloud. It adds genuine warmth and wind protection while making you feel like it isn’t even there. But the best part of the Arc’teryx Atom LT is the price. Arc’teryx gear isn’t just famous for being stylish, it’s also famous for being pricey. And while the Atom LT does have a fairly high list price (US$260), unlike a lot of Arc’teryx gear you can find it on sale pretty regularly at a fraction of that price. Even at its list price, it’s cheaper than the aforementioned Ghost Whisperer. It’s probably obvious that I love the Atom LT, and I haven’t really experienced any problems with it. But it’s worth pointing out that there is a tradeoff for its incredible light weight and packability, and that’s durability. It’s a very well-made piece of gear, and it’s not going to fall apart after a month of use or anything, but it is made of thin fabrics, so if you do something like walk too close to a sharp nail or snag the tooth of an ice screw on it, chances are you’re going to tear the jacket. That said, I’ve taken mine on every trip over the past year, and it hasn’t suffered so much as a scratch just yet, so it is reasonably durable. For whatever it’s worth, if I tore a hole in it tomorrow and it couldn’t be repaired for some reason, I would order another one. The fact that it’s not as bomber as a heavier jacket is something to keep in mind, but not a good reason not to buy one as far as I’m concerned. The only other minor gripe I have is that it does NOT come with a stuff sack in a standard order. However, one way to work around this is to basically stuff it into it’s hood, which accomplishes something similar. (It’s also worth pointing out that if you accidentally poke a hole in it or something, Arc’teryx will repair it for “a nominal fee”, and if it breaks due to some defect in material or workmanship, Arc’teryx will fix or replace it for free, so be ready to wear and tear). Buy it. The Atom LT is an incredibly useful and versatile piece of kit for the outer that also offers style and will keep you comfortable. I don’t recommend paying the list price for it unless money is no object to you, but it won’t be difficult for you to find a better deal – and to be frank, even though the list price is on the steep side, it’s probably worth it. Where to Buy it? I prefer to order directly from Arc’teryx for more direct returns, customer support, and fixes (if needed).